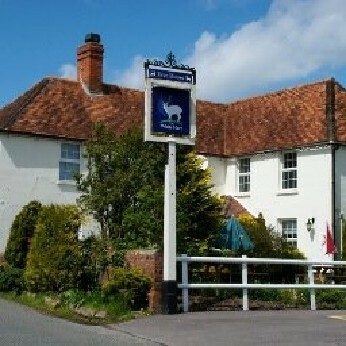 The White Hart Inn is a 16th century country inn located in the historic village of Hamstead Marshall, in rolling Berkshire countryside yet just four miles to the west of Newbury and also conveniently placed for the nearby town of Hungerford. Open throughout the day from 10.00am, The White Hart Inn offers our guests a warm welcome, together with all the comforts of a traditional country inn, including outstanding freshly cooked pub food “classics” alongside fantastic beers, lagers, wines, spirits and other drinks. Overnight visitors can enjoy one of our comfortable newly refurbished rooms. Julys Monthly Mindbender Quiz raised £49 for Alexander Devine. The winners “Billy Some Mates” chose “Daisy’s Dream”as next months’ charity.